If you haven’t already heard , I’ll be exhibiting at the Small Press Expo in Bethesda, MD in just a few weeks! 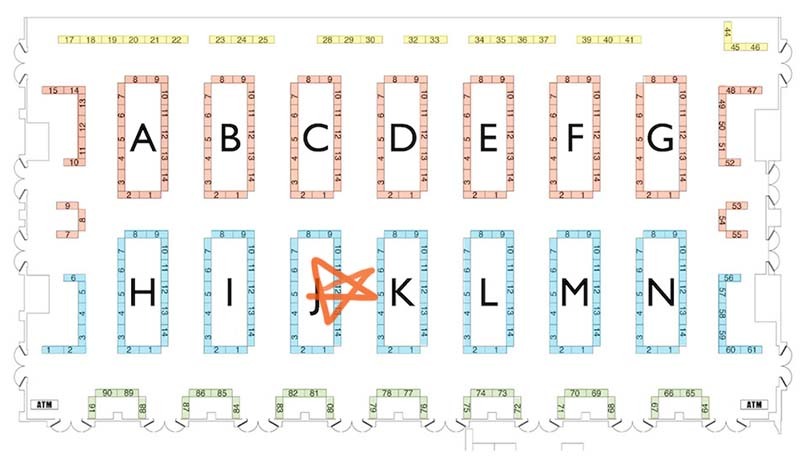 The organizers released the layout, and I’ll be at table J12, as shown above. Can’t wait to be there and spend all of my money on comics! I’ll have minis and greeting cards for sale, and will be sharing the table with the lovely and Ignatz-nominated Sophie Goldstein.